We Really Do Mean “Drop-in”. 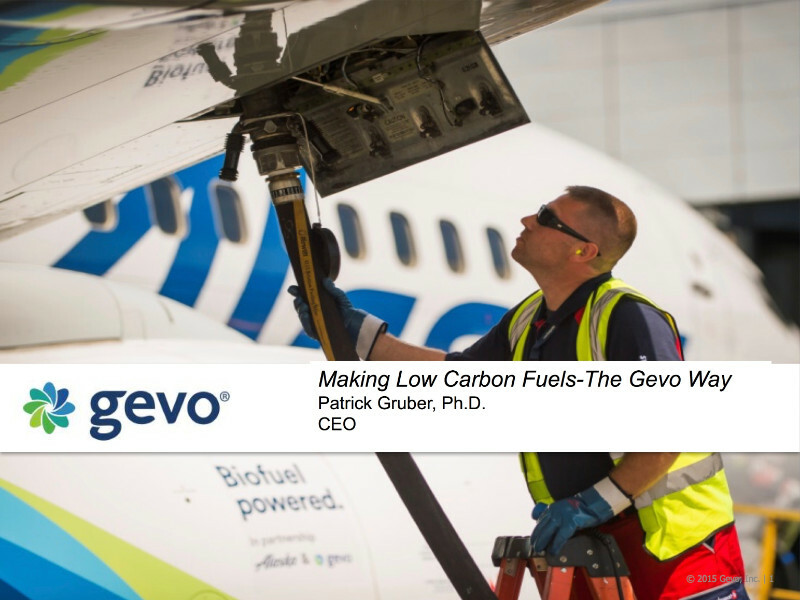 Gevo has two proprietary technologies that combine to make it possible to retrofit existing ethanol plants to produce isobutanol, a four carbon alcohol which serves as a hydrocarbon platform molecule. They have developed an industrial scale yeast biocatalyst to produce isobutanol without typical byproducts operating at parameters equivalent to commercial ethanol producers. The second piece of technology is a separations unit that operates continuously and removes isobutanol during fermentation. CEO Pat Gruber gave this illuminating overview on the company and its technologies at ABLC Next 2017 in San Francisco.